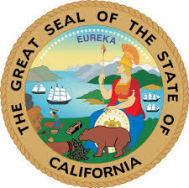 Since 2000, California law has required each retail food facility to have at least one owner, manager, supervisor or other person certified as a Certified Professional Food Manager (CPFM) also known as ServSafe® or Food Protection Manager. Our CPFM courses are half-day programs followed by an 80 multiple choice examination. Exam only options are also available. Our courses are in ENGLISH, but the EXAMINATION is bi-lingual English/Spanish. Exams are also available in Korean, Traditional Chinese, and Vietnamese. The exam and certificate are ANSI/ASTM Accredited and approved nationally and by all California counties. Certification is good for five (5) years in California. If you have a Certified Professional Food Manager Certificate you do not need a Food Handler Card. Our CPFM courses are half-day programs followed by an 80 multiple choice examination. Exam only options are also available. Our courses are in ENGLISH, but the EXAMINATION is bi-lingual English/Spanish. Exams are also available in Korean, Traditional Chinese, and Vietnamese. ♦♦♦ If you have any questions (what is the cost, are there any discounts, I lost my certificate, can I take the exam on a computer, etc.) scroll down to the bottom of this page or click here > >. ♦♦♦ Select the city or scroll down to view all dates and locations. For Arizona classes, click here > >. I'm in a big hurry, can you help? After you complete the online registration process you will be emailed confirmation and receipt of your registration. Most health departments accept this confirmation until you receive your certificate after successful completion of the course/exam. We also offer study at home and private exams by appointment in select cities. (Prescott, Arizona or San Luis Obispo County, California.) This option includes an English Food Safety Manager book and a private exam by appointment for $125. Register for the course and exam here > >. Purchase study at home and private exam here > >. Where and when are your courses? California Schedule Click here > >. Arizona Schedule Click here > >. We will also come to your business or school anywhere in CA, AZ, or NV to conduct a private course and exam if you have 12 or more people. Contact us for more information. What's included in the price for the course and exam? Our courses are in ENGLISH, but the EXAMINATION is bi-lingual English/Spanish. Courses are educational, entertaining, and divided into lecture, discussion, handouts, and a visual presentation. The course teaches food service managers and food handlers how to protect against foodborne illness outbreaks, reduce liability risks, and improve food quality. The cost includes an exam review presentation, handouts, questions and answers, exam, and certificates for those that successfully pass the exam. How do I register and pay by check or cash for a course? Download the Check Registration Form > >. In order to register and guarantee your seat, payment must be received at least one week before the date of the course. Make check payable to Fidelity Safety & Training LLC and mail it to the address on the bottom of the registration form. Payment is required prior to services being performed. Hurry, classes fill up quickly and are on a first-come, first-served basis. In some cases and if seats are available, we allow attendees to pay at the door. The “at the door price” is full price ($119 class and exam or $79.00 exam only) and contact our office prior to the course or the exam to make sure seats are available. Payment is required prior to services being performed. Major credit cards, debit cards, cash, checks, and money orders. We also accept purchase orders from school districts and other local, state, or federal government agencies. Invoiced accounts are due Net 30. Accounts over 60 days past due are subject to interest at 1.5% per month. Payment or purchase order is required prior to services being performed. Hurry, classes fill up quickly and are on a first-come, first-served basis. Can the examination be taken online, for example, on my home computer? No, the examination cannot be taken from your home, but you have several options such as study at home, exam only, etc. Exams must be supervised by an approved proctor. Can I study at home and take an exam by appointment? Yes, we offer study at home and private exams by appointment in select cities (Prescott, Arizona or San Luis Obispo County, California. This option includes an English Food Safety Manager book and a private exam by appointment for $125. For more information or to register, click here > >. Who is responsible for paying for the course and the exam? This is up to the employee and employer to work out. Yes, we do offer online training food safety manager training and other online training courses. However, we typically see better exam results when manager attendees take one of our in-person training courses prior to taking the exam. Online training is available for attendees that can’t attend one of our in-person courses. We offer many different types of online training courses and you may view our course catalog by clicking here > >. Our courses are in ENGLISH, but the EXAMINATION is bi-lingual English/Spanish. Exams are also available in Korean, Traditional Chinese, and Vietnamese. You must notify our office immediately and at least 14 business days prior to the course date if you would like the exam in a language other than English or Spanish. Fidelity Safety & Training LLC complies with the Americans with Disabilities Act (ADA). Potential examinees with documented disabilities may request necessary aids and services as long as they do not fundamentally alter the measurement of the exam skills or knowledge. Contact us at least 30 days before the scheduled exam date. What is the difference between NRFSP, ServSafe®, Prometric and Experior exams? National Registry of Food Safety Professionals (NRFSP), ServSafe®, Prometric (formerly Experior) are county, state and nationally (ANSI/ASTM) accredited Food Safety exams and certificates. Some corporations have internal policies requiring a specific exam. If there is no such policy, then any of the three certifications are acceptable. Fidelity Safety & Training LLC currently provides Prometric. However, you may request NRFSP and ServSafe® for an additional change and contact us at least 30 days before the scheduled exam date. Yes, sign up for our quarterly food safety newsletter and you can save $10 to $125 by signing up for our Coupons and Newsletter. To sign up, click here > >. We also offer a discount to active duty military, Veterans, and school employees. Save $20 per person – Send us an email or use your cell phone to text (sms) a photo of your district or military I.D. for a coupon code. Send an SMS. Send an Email. Contact our office at safety@fidelitysafety.com or 800-429-7110 immediately. We can almost always work with you if you contact us prior to the course date. If you are unable to attend the Certified Food Manager Course/Exam or need to reschedule to another date, please notify us within two weeks of the course date to receive a 75% refund on the course/exam fee or to reschedule. If you are not able to attend on the day of the course, you may send another employee in your place without penalty. There are no refunds or reschedules if you fail to show for the course/exam. If you miss your scheduled course/exam date, you will need to register and pay again. If we cancel the course due to low enrollment, you may choose another course date or a full refund. We are unable to refund you for study materials (books, etc.) or postage once the material(s) have been sent in the mail. Payment is required prior to services being performed. Hurry, classes fill up quickly and are on a first-come, first-served basis. What if I lost or misplaced my certificate? Can I get the directions to the courses? What if I only want to take the exam? You may take the exam only for $85. Select the “exam only” product when you register by clicking here > >. Do you conduct private group training and exams? We will also come to your business anywhere in CA, AZ, or NV to conduct a private course and exam if you have 12 or more people. Contact our office by email or 800-429-7110 for more information. It is very, very rare that an English speaker with a high school or above education fails the exam after taking one of our review courses. In the event you do fail, you may take the exam over as many times as necessary and we charge $65 for the course and exam. Click here then select the location, and select the “re-test” product. In order to successfully pass the exam, we recommend that you study the Food Safety Manager book (optional book available in English or Spanish or you may use a book from a previous course) and be able to read, write and understand English, Spanish or the language you requested the exam in. To become a Professional Certified Food Safety Manager, you must pass an 80-question multiple choice examination with a score of 70% or above. Some candidates find the course instruction and the exam more difficult than they anticipated. Approximately 2% of English speakers and 10-15% non-native English or English as a second language speakers fail the exam the first time. The exam is written at about a tenth-grade reading level. If you are having trouble reading and understanding this information, you may have trouble understanding the instructor and reading the exam. The exam is timed, and you will have two hours to complete it. The exam is bi-lingual in English/Spanish and available in other languages upon request. Results take approximately two weeks and will be mailed to the address on the candidate’s exam answer sheet. Do you offer a course or study book? Yes, our food safety books are inexpensive and optional. Feel free to study from an old book or from a book from a previous or different class. If needed, we offer two different books for sale. 1) English Food Safety Manager book $15.00. 2) Spanish NEHA Food Manager book $40.00. No charge for shipping or handling if ordering with a course. An electronic version (by email) of the English book is also available for $10.00. To view all of our products, click here > >. Where can I view all the policies? If you agree to the terms of the examination, pass the examination, and are certified as a Certified Professional Food Manager, we can verify your certification status upon request by governmental organizations, employers, and other interested people. You will receive your certificate by mail approximately two to three weeks after the exam. If you did not receive your certificate within three weeks of the exam date click here >>. What’s the difference between a Food Safety Manager Certificate and a Food Handler Card? Certified Professional Food Manager: California and Arizona law requires each retail food facility to have at least one owner, manager, supervisor or other person certified as a Certified Professional Food Manager (CPFM) also known as ServSafe® or Food Protection Manager. If you own/manage three restaurants, then you need one person at each location with a Food Safety Manager Certificate. Renewal required every five years. Food Handler Card: Dishwashers, servers, cooks, bartenders, and others that handle or prepare food or beverages must obtain a Food Handler Card within 30-days of employment and cards must be renewed every three years. Food Handler Cards may be obtained online at MyFoodHandlerCard.com. 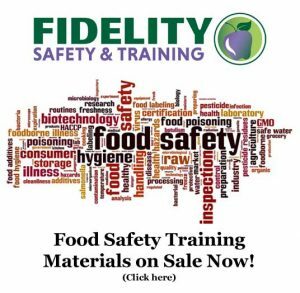 If you possess a Certified Food Safety Manager Certificate, you do not need a Food Handler Card. Back to the schedule and registration – scroll up or click here > >.